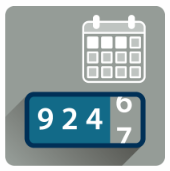 Did you know that you have access to FREE apps in the GeoTab Marketplace? There are hundreds of apps and add-on solutions designed to help you better understand your fleet and find ways to optimize spending and operations. You can learn more about the Geotab Marketplace here or start browsing some of the possibilities for themselves on the Marketplace. 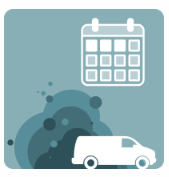 The proper tools to manage your drivers and vehicles can help make a big difference on your bottom line, and that’s exactly what we’re here to help you do at GPS to GO. 1. Top 5 Speeding Violations – This App can help a fleet manager by running and emailing then a report on a daily, weekly or monthly basis! The report shows the top 5 drivers (or vehicles) with the highest number of speeding notifications within a pre-set time period. This can help you increase fleet safety and give you better driver knowledge. 2. 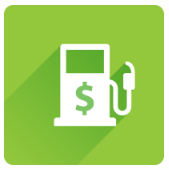 Average Fuel Economy – This is a great App for Fleet Managers who want to decrease their fuel costs and can help lead to a more efficient and profitable business. This App gives you an easy to understand visualization of the average fuel economy in your fleet based on either L/100km, MPG US, MPG IMP, KML. 3. Last 3 Months Idling Trend – Interested in knowing how much your vehicles are being idled? This App can help you do just that with a report that gets emailed straight to you. Last 3 Months Idling Trend is designed to measure the total idling time over a 3 month period. This can be useful for Fleet Managers to view the total idle time, spot trends, and get a quick 3 month snapshot of their fleet. 4. 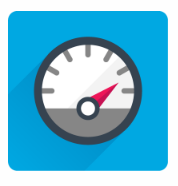 Last 3 Months Mileage Trend – Similar to the Last 3 Months Idling Trend App, this App gives you the same time period snapshot of how many total miles were driven for a whole fleet. This App allows easy to spot trends and view the total mileage driven by a fleet over a 3 month period. Used together these Apps can help give Fleet Managers a quick summary of how their fleet is doing. 5. 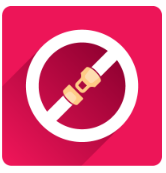 Top 5 Seatbelt Violations – This App will display the 5 drivers (or vehicles) that drove without using their seatbelts within a specific time period. A Fleet Manager could run this report on a daily, weekly, or monthly basis as an email report or simply by viewing the dashboard. This can help give the Fleet Manager greater insight into their drivers and be used to increase fleet safety.